Ladera Rancho Chamber of Commerce - Another New Business Opening in Ladera! NuAge Spa! Another New Business Opening in Ladera! NuAge Spa! Another new business is opening in Ladera Ranch! 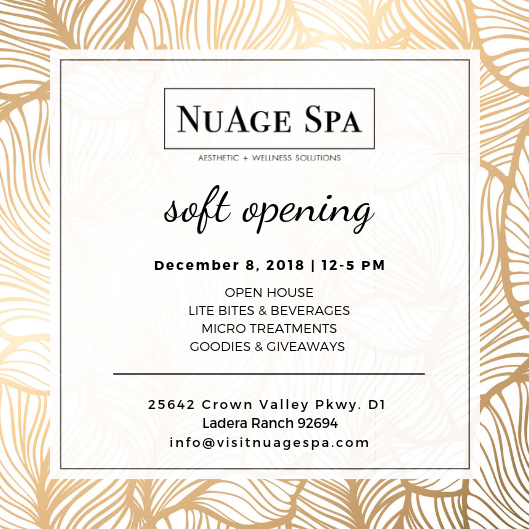 Open House and Soft Opening! Shop Local. Shop small. Live LARGE!